What the error is telling you is that a connection attempt was made, but the session authentication was not provided before SQLNET.INBOUND_CONNECT_TIMEOUT seconds. As far as adverse effects in the long run, you have a user or process that is unable to connect to the database. So someone is unhappy about the database/application. In 10gR2, SQLNET.INBOUND_CONNECT_TIMEOUT the parameters were set to have a default of 60 (seconds). Set the parameters SQLNET.INBOUND_CONNECT_TIMEOUT and INBOUND_CONNECT_TIMEOUT_listenername to 0 (indefinite). Before setting SQLNET.INBOUND_CONNECT_TIMEOUT, verify that there is not a firewall or Network Address Translation (NAT) between the client and server. Those are common cause for ORA-3136. The parameter is to be added in sqlnet.ora on the server, so wont require a shutdown. and edit it at server side. The threshold value can be changed by changing the last two numeric digits. 1. Open a terminal window. Login as the root user. 2. Create the following operating system groups: oinstall, dba, and, oper. 6. Create the directory for the software installation and assign ownership to oracle:oinstall. Datapump is a server based bulk data movement infrastructure that supersedes the old import and export utilities. The old export/ import tools are still available, but do not support all Oracle 10g and 11g features. The new utilities are named expdp and impdp. It is ideal for large databases and data warehousing environments, where high-performance data movement offers significant time savings to database administrators. How will you configure the Flash Recovery Area & Archivelog mode of your database through Oracle Enterprise Manager 10g Database Control? I found the answer in Linda Smith’s blog. She explains the whole thing step by step with snaps. It does prove really helpful to me. I was working on Windows XP platform. The problem I faced during Specify Host and target Database Credentials is “RemoteOperationException: ERROR: Wrong password for user”. 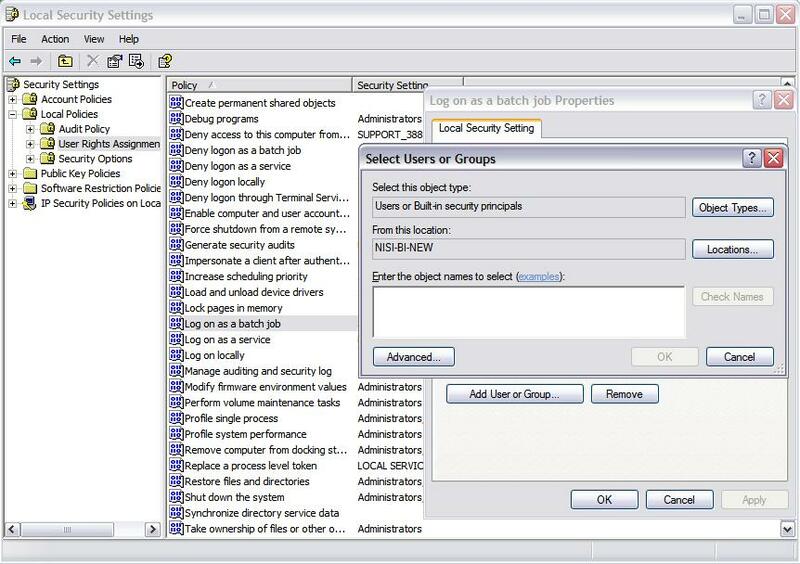 Go to Control Panel–>Administrative Tools–>Local Security Policy–>Local Policies–>User Rights Assignment–>U will see in the policy as “Log on as a batch Job–>right click–>Properties–>add user or groups–>give your OS username. 1. What is Oracle’s strategy on Linux? Oracle is fully committed to supporting the Linux operating system. In fact, Oracle was the first commercial database available on Linux. By supporting Linux with Oracle’s industry leading products, we are enabling customers to deploy enterprise-class solutions on the lowest cost hardware and operating system infrastructure. We believe that Linux is more attractive today than it ever was, as customers are looking for open, cost effective solutions. Over the past few years Oracle and its customers have learned a tremendous amount about running Oracle on Linux for enterprise class deployments. Combining this knowledge with the opportunity to drastically reduce IT infrastructure costs has provided the catalyst for Oracle to move to the next step, which is to provide Oracle customers with seamless and complete technical support for the Linux operating system in addition to support for the Oracle stack. Oracle’s delivery of a complete solution including direct technical support of the operating system is critical to our customer’s success. With technical contributions to enhance Linux, with code-level support of the key Linux operating systems, and with strategic partnerships, Oracle is offering an Unbreakable Linux platform for customers to safely deploy Linux in a mission critical environment. 2. What Oracle products are available for Linux? All key Oracle products including Oracle Database 10g with Real Application Clusters, Oracle Application Server 10g , Oracle Collaboration Suite, Oracle Developer Suite 10g, and Oracle E-Business Suite are available for Linux. 3. Are all Oracle Database 10g options available on Linux? Yes. Oracle Database 10g options are available on Linux. Oracle Database on Linux is the same product as on Windows, UNIX, and any other platform on which Oracle Database is available. Oracle has been working with strategic partners such as Red Hat and Novell to make further enhancements to the Linux kernel to support enterprise class functionality and enable the Linux operating system to effectively run mission critical applications. 4. What distributions of Linux does Oracle support? Asianux 1.0 : the products supported by Oracle, as part of Asianux, include Red Flag DC 4.1 Asianux Inside and Miracle Linux 3.0 Asianux Inside. Oracle provides Unbreakable support in APAC. Oracle does not want to support fragmentation in the Linux operating system market. There are an indeterminate number of Linux distributions in the market. Customers have consistently asked for stability, better performance, and reliability of the Linux platform as well as enterprise-class support. Oracle cannot be effective in servicing customers if we attempt to support a large number of different Linux distributions. 5. What is Oracle’s position on UnitedLinux? Oracle Database 10g is not supported on UnitedLinux 1.0, but is supported on SUSE LINUX Enterprise Server 8. 6. Does Oracle have its own distribution of Linux? No. Oracle does not have its own distribution of Linux. Oracle has determined that collaborating with partners such as Red Hat and Novell is the best way to create a stable and supportable enterprise class Linux distribution. Oracle is committed to working with the Linux community to enhance the Linux kernel. We work with the partners and the Linux community to add new functionality to the kernel that is important to run mission-critical applications. 7. How does Oracle contribute to the enhancement of Linux technology? Oracle works with the key Linux distributors to test and optimize the OS to effectively handle mission critical applications. For example, Oracle has collaborated with Red Hat and Novell to create a core set of enhancements in the areas of performance, reliability, clustering and manageability in order to enable Linux to support our customers’ enterprise-class deployments. These efforts have been integrated into Red Hat’s enterprise distribution called Red Hat Linux Enterprise Linux, as well as into Novell’s SUSE LINUX Enterprise Server. We believe that our work with Red Hat and Novell to enhance the Linux kernel benefits all Linux distributions. Oracle is actively supporting the Linux open source community by contributing source code for products like Oracle Cluster File System, to drive development of the Linux operating system. 8. 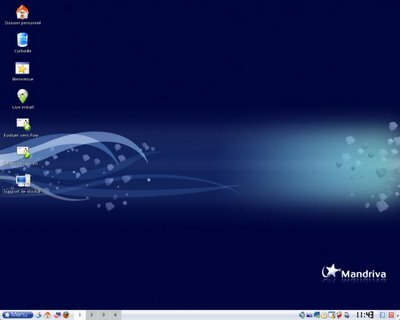 How do I get technical support for the Linux operating system? Oracle provides direct support to its customers for Red Hat Enterprise Linux AS/ES, Novell’s SUSE LINUX Enterprise Server (SLES), UnitedLinux, and Asianux. Oracle, working closely with Red Hat, Novell, Red Flag, and Miracle Linux, is providing support for the entire software stack including the operating system. As a result, Oracle customers who have deployed on the Red Hat Enterprise Linux AS/ES, SUSE Linux Enterprise Server or UnitedLinux, are seeing improved response and faster resolution for critical issues. A single support organization ensures the highest level of support and availability to our joint customers. Any customer running Oracle products on Red Hat Enterprise Linux AS/ES, SUSE SLES, UnitedLinux, or Asianux should turn to Oracle for support if they have an issue that prevents the smooth operation of their Oracle implementation. Oracle will diagnose the issue and work with the OS partner for those cases where the operating system is suspected of causing the issue. For those issues of a critical nature (P1) Oracle will provide a fix to the customer regardless of the source of the issue: Oracle product, Red Hat, SUSE UnitedLinux, or Asianux product. For additional support issues Oracle will collaborate with the OS partner so the customer issue can be resolved jointly. Read the Unbreakable Linux FAQ for more information. In order to receive support from Oracle for Red Hat Enterprise Linux AS/ES, the Oracle customer must maintain Standard or Premium support contracts with Red Hat. In order to receive support from Oracle for Novell or UnitedLinux operating system, the Oracle customer must maintain a support contract with Novell or with one of the other two UnitedLinux founding member companies (Conectiva and TurboLinux). 9. Why are Linux developers developing their applications using Oracle’s software? The same enterprise class Oracle products with proven track records are available for Linux. Oracle continues to attract Linux developers with database technology innovations that are highly available, with scalable clustering technology. To date, more than 1.4 million copies of Oracle products for Linux have been downloaded from the Oracle Technology Network. Why would developers not develop their applications using Oracle software? Developers can download Oracle and Linux software from Oracle’s Linux Developer Center. 10. Does Oracle run parts of its own business on Linux? Yes. In an effort to streamline and lower the cost of our operations, Oracle has deployed Linux in various ways to make our infrastructure more efficient and less expensive. Oracle’s internal IT organization has analyzed and found that Linux based systems are one of the most cost effective ways to reduce costs for IT infrastructure. We have a large number of Linux based pilots and operational systems in use at Oracle today. In fact, all of Oracle’s recently deployed and new outsourcing business runs on Linux. We run our Application Demo Systems and Technology Demo Systems, which consist of several hundred servers, on Linux. These systems are utilized by Oracle’s worldwide sales organization to provide Oracle E-Business Suite and Oracle Database with RAC demonstrations to customers and prospects. In addition, several for our Global IT systems are now running on Linux. In October 2003, over 5,000 Oracle developers migrated over to use Linux as the platform on which we build the Oracle E-Business Suite product.